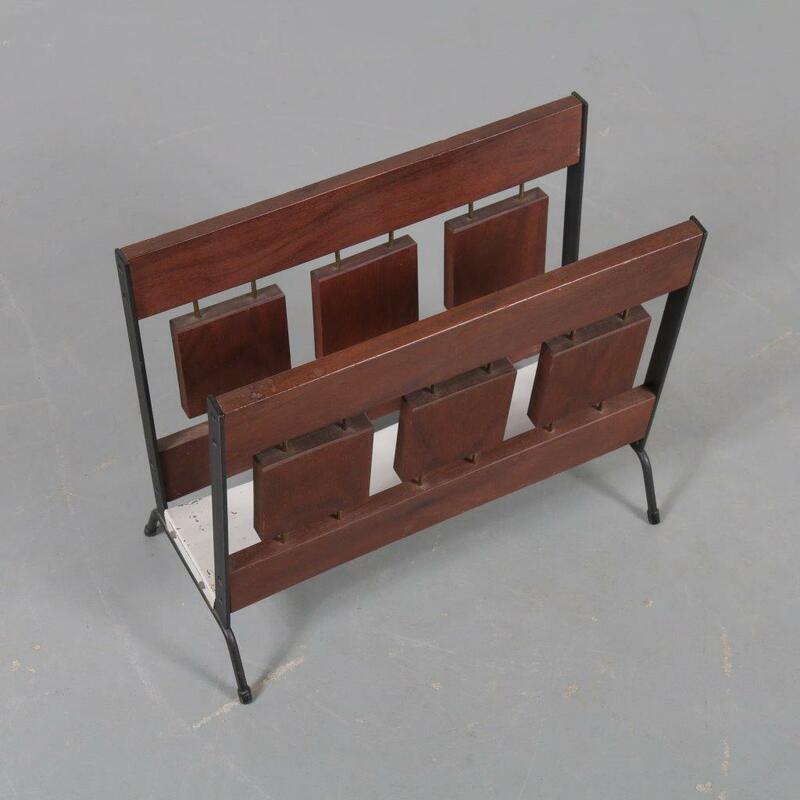 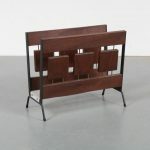 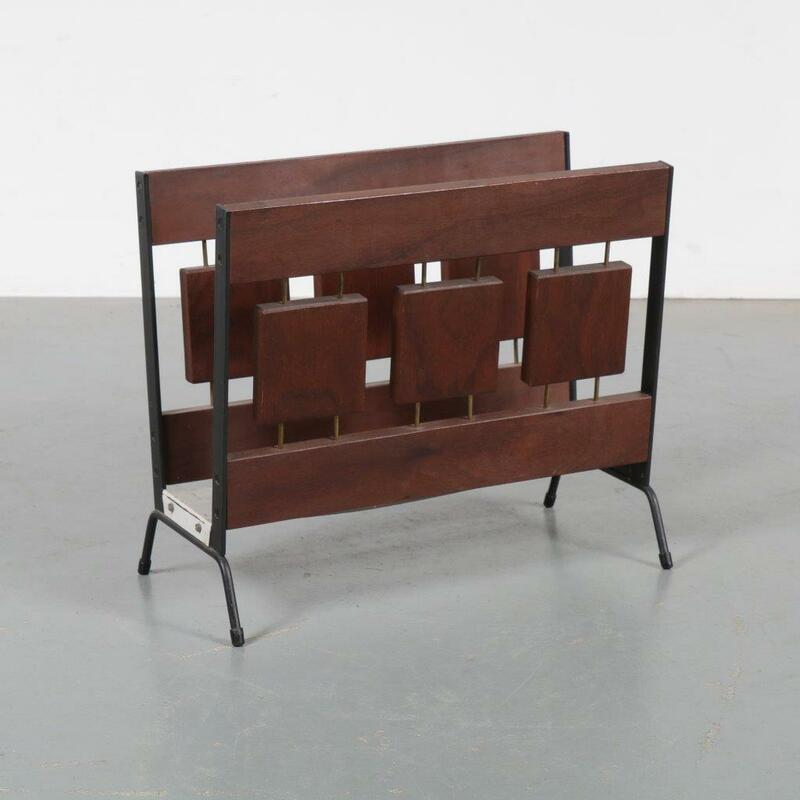 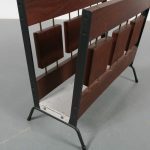 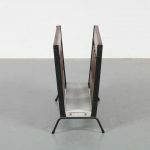 A beautiful, eye-atching magazine rack made of black lacquered metal with deep brown teak wooden square shapes creating the holder. 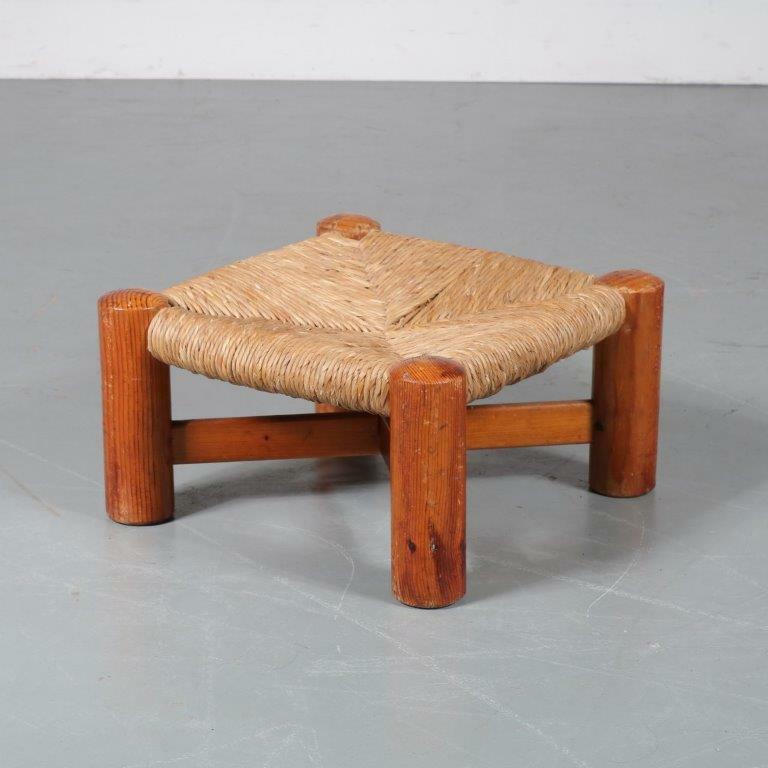 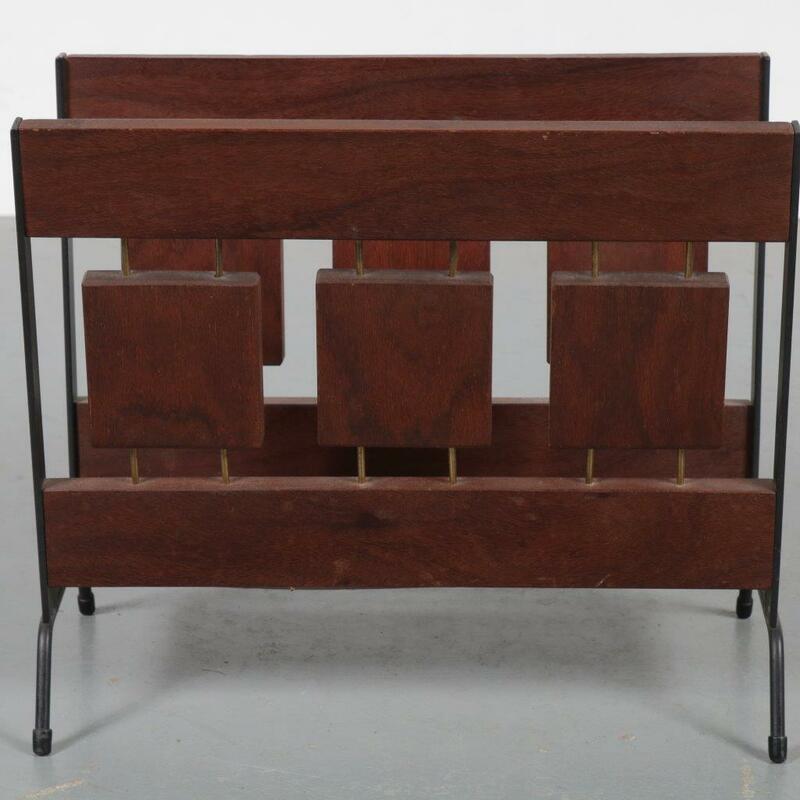 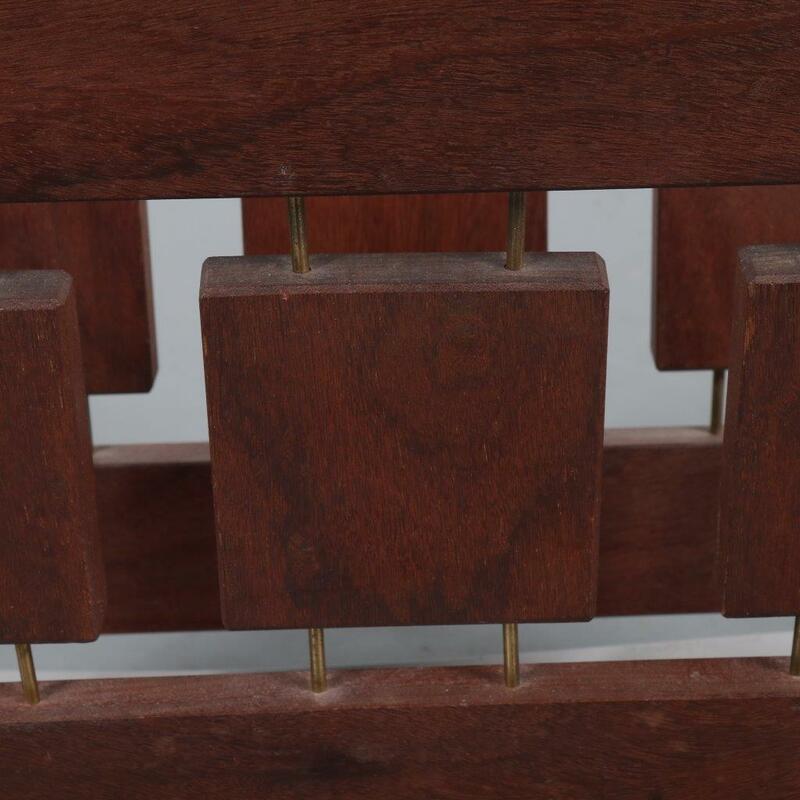 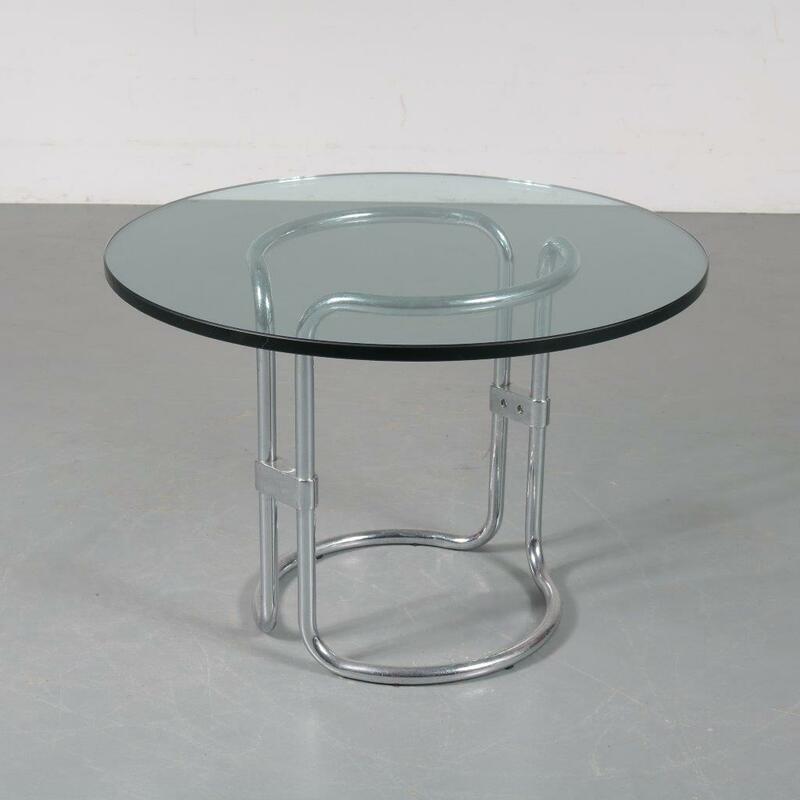 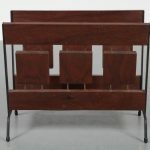 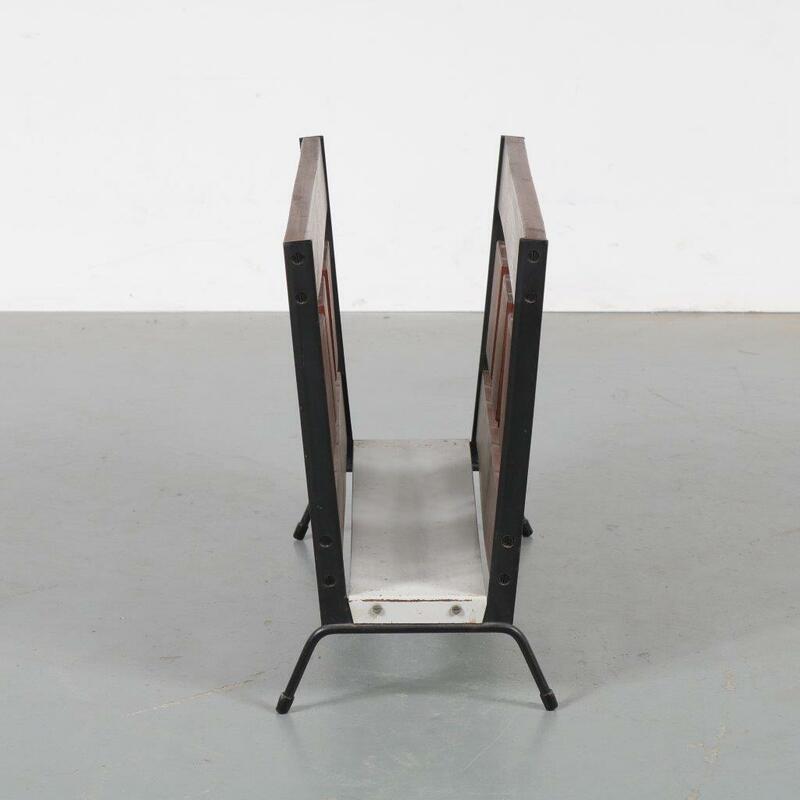 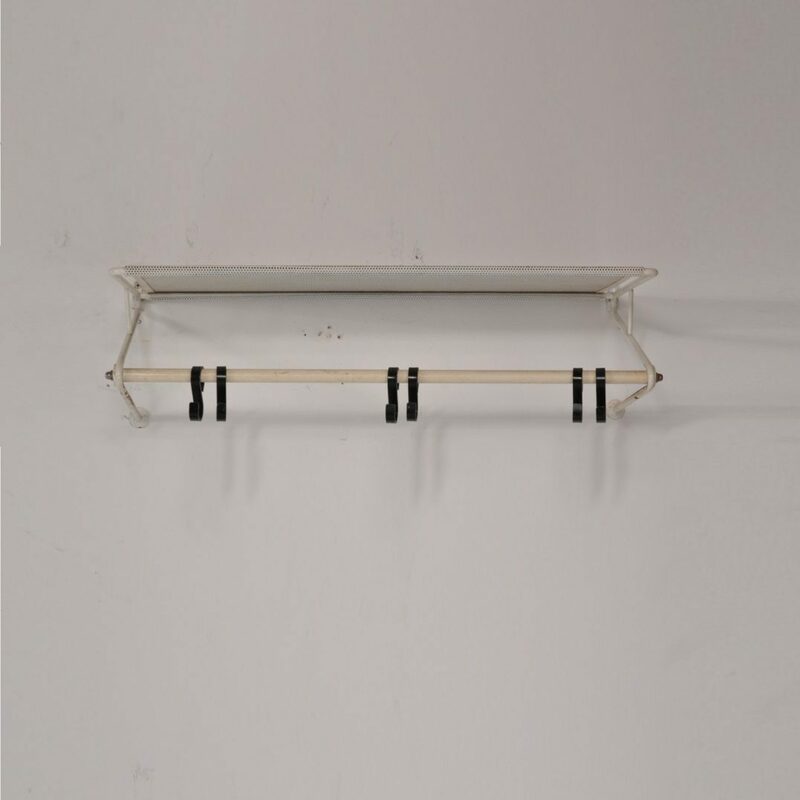 This rare piece has a very unique, modern style that would fit perfectly in any modern or minimalist interior! 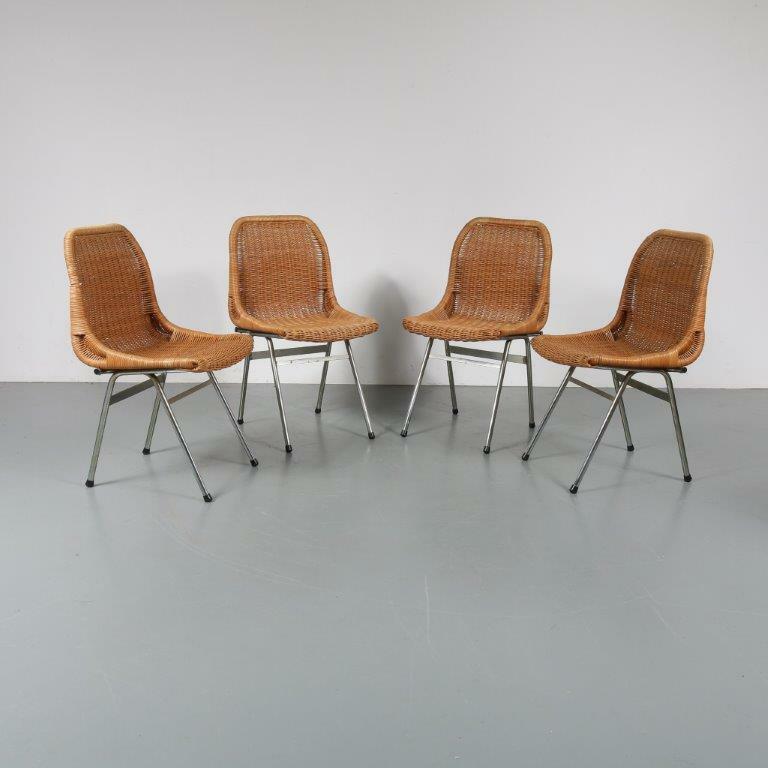 It remains in good, vintage condition with minor wear, preserving a beautiful patina.